Dr. PANOMIR IVANOV TZENOV was born in Vratza, Bulgaria in 1961. He took his MSc from The University of Zootechnics and Veterinary Medicine – Stara Zagora in Animal breeding engineering – sericulture. He obtained his PhD. in sericulture in 1996. Dr. Tzenov started his career as a technologist in silkworm egg production at the “Silkworm breeding and egg production enterprise”, Vratza, under the Sericulture Experiment Station (SES) Vratza. He became the head of the station in 1987. From 1994 to 2003 he served as The Director of SES, Vratza and as National Director of the project “Rehabilitation of sericulture”, financed by FAO during 2000 – 2002. Presently he holds the position of Executive director of Bulgarian National Center of Agricultural Sciences (NCAS), Sofia. 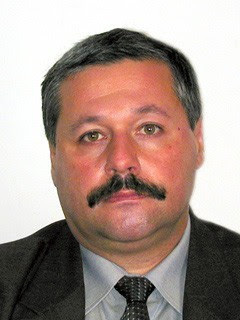 He is member of various reputed national and international forums such as International Working Group on Sericulture Germplasm” under FAO, International Working group on the global silk handcraft cottage industries and silk enterprises development” under FAO, The Publishing council at the National Center of Agricultural Sciences, Bulgaria etc. He is the founder president of Black, Caspian Seas and Central Asia Silk Association (BACSA). He has contributed immensely to general sericulture, silkworm breeding, egg production, rearing technology and cocoon and silk processing. He has 164 published papers to his credit and holds author’s certificates for two commercial silkworm hybrids. Dr. Tzenov is widely traveled and has participated in more than 30 scientific conferences across Asia and Europe. Inspite of his busy schedule he has found time to give an exclusive interview to 'The Silkworm' for which The Silkworm is thankful. Tell me about BACSA, its objectives, membership, mode of operation etc. The Black, Caspian Seas and Central Asia Silk Association (BACSA) was established after the “International Workshop on Revival and Promotion of Sericultural Industries and Small Enterprise Development in the Black, Caspian Seas and Central Asia Region”, organized by FAO in cooperation with the Government of Uzbekistan and held at Tashkent, Uzbekistan from 11 to 15 April 2005 in order to promote sericulture production in the region countries. The association’s main tasks are to: Generate sericulture projects from external resources, including bilateral and multilateral cooperation; Sensitize respective governments and prospective donors; Promote local and regional joint efforts which allow the cooperation between the countries of the Black, Caspian seas region and Central Asia to develop concrete actions that fortify the sustainable development of the sericulture in the region; Promote making agreements for international scientific-technical cooperation and business relations between the countries involved and Promote market studies, training, and dispersion of sericultural germplasm, and silkworm eggs. For the operation of the association there are, chosen democratically by the members a President, two Vice-presidents, national coordinators for each member country, members of an Executive Committee. The members of the Executive Committee are directly the people in charge of coordination of all the raised activities for their country, within the regional context. The Executive Committee it is the bridge between the country, the national coordinator and the other countries of the association, to execute the actions defined in the region. The Committee gathers at least once a year and has the following functions: to evaluate the work made by each national coordinator in activities of coordination in her/his country with respect to the BACASA, to recommend the names of the people in the association to receive training abroad. to evaluate and to watch the handling of the "Rotary Funds" and "Research Funds" that will be probably created and to give the recommendations on orientation and better use of these resources, to present/display the research proposals that require financing on the part of the "Research Fund", to approve the necessary resources for this aim and to give recommendations and suggestions on all publications and written material that takes place within the frame of the BACASA and to advise to the association’s President on the advances and progresses that must take place in the development of the activities and give recommendations her/him on the modifications and corrections that are due to make for the final succes of the projects. Is sericulture a dying enterprise? Does it have a future? The status of sericulture depends on many factors. In some countries it is really a dying enterprise, due mainly to their high economical development, combined with lack of any governmental support. On the other hand the selling of raw silk/silk allied products by the Chinese at too low prices during the period 1995 – 2005 led to a collapse of the sericulture industry in many countries. The Chinese sold 1 kg of raw silk for US$ 16-18/kg, 3 A quality. That means the fresh cocoon purchasing price should be about US$ 0. 50 – 0.80. Very few countries have so poor farmers who are ready to produce cocoons at this price. On the other hand in many countries the sericulture farmers are supported by the government. In the last year the raw silk price in China jumped to about US$ 43/kg. Therefore the increasing price of the raw silk at the international market, combined with stable state policy to support the sericulture development are the two key factors for the bright future of sericulture. The availability of local silk market is also very important. Silkworm rearing within the European union countries is considered as one of the protected and promoted activities, being subsidized by Euro 133 per box of 20.000 eggs. This subsidy creates a considerably high income to the farmer, since it approximately duplicates his total income, added to the cocoon value. The replacement of traditional crops by perennial mulberry cultivation is additionally subsidized by the EU by means of the initial installation cost and the income loss for twenty years. Considering the above I can make the final conclusion that the sericultural industry has a good future. What is the relevance of sericulture as an agro industry in the developing and underdeveloped countries? Apart from giving a high-value product, sericulture is a highly women/old people- focused, labour intensive, rural based, income leveler. From one hectare of irrigated mulberry, from the stage of mulberry cultivation to the stage of weaving and marketing, about twelve persons get employment throughout the year. Since the producers of silk cocoons are mostly small farmers while the costly silk final products can be purchased only by the affluent, it transfers income from the rich to the poor, from the urban to rural families. Internationally also, the silk producing countries are mainly the developing countries while silk products have a high demand in the EU countries, Japan and the USA. Sericulture is also a drought-proffer because, the mulberry plant whose roots go deep in the soil, does not die during prolonged drought and its leaves will sprout whenever there is rain. In the tropical countries, even with 40% rainfall, there will be two crops of mulberry instead of the normal four or five which means, even in the worst drought year, there will be 40% of normal income for the sericulture families. In some temperate /subtropical countries where the summer is very dry and autumn rearing is impossible without irrigation, is possible to get at least one spring cocoon crop without any irrigation of mulberry. Sericulture thus scores on every point: One of the highest income from one unit of land; Use of less water and drought resistance; Income leveler - transfer of income from rich to the poor nationally and internationally; Generating high rural employment; Gender benign in favor of women-employment; Silkworm rearing is indoors and has no arduous work-drudgery; A natural fibre and ecologically harmless; Hygroscopic, absorbs body moisture and therefore comfortable to wear; No synthetic substitute and highly demanded in EU countries and the USA; No competitor to food crops. However, in new areas initial promotion and investment is needed in the establishment stage. This is because, while mulberry can be grown without much difficulty, the art and science of silkworm rearing, marketing arrangements for cocoons, reeling and weaving have to be organized in the initial stages till the industry takes root. The reeled silk yarn is not perishable and being a low-volume, high-value product it has a ready market and can be transported easily. In fact across countries it is air-freighted and not sent by surface transport as transport cost is a small fraction of the total cost. The more difficult task is the teaching of rearing and organizing of reeling to create a market for cocoons produced by the farmer. Once these two aspects are taken care of, sericulture will entrench itself and will develop. Silk being a natural fiber and hygroscopic, it is comfortable to wear in all seasons as it absorbs body moisture. Sericulture thus fits neatly into the economy of any developing country with a significant rural sector, for quite a few decades to come. Silkworm has long been identified as a laboratory tool (courtesy Dr. Tazima) but yet to be exploited as one. Why is it so? Recently the silkworm was used as a laboratory tool for the medicine purposes. The silkworm genome project is underway. What are its implications to the scientific field and agricultural (sericulture) field? Scientific field: getting new scientific information about the animal genome. Agricultural field: creation of new silkworm breeds and hybrids combining precious characters, for example sturdiness with high productivity. While considering the long history of domestication, the bulk of breeding experiments done, viability to genetic manipulation, genomic information, versatility of sericigenous fauna etc., do you think paucity of competent researchers has been the worst handicap for the sector? What are your suggestions for a remedy? I do not think that paucity of competent researchers has been the worst handicap for the sector. There are many other reasons, the main ones – insufficient financing, considering the sericulture as a minor sector etc.